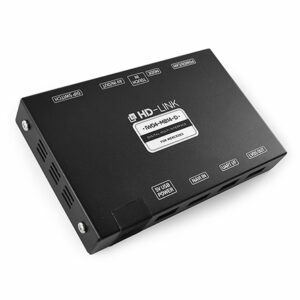 Without HDMI input (HDMI device) – Not available the smartphone mirroring. Optimization for original monitor of AUDI. 꼭! 필요한 기능을 합리적인 가격에 설치할 수 있도록 재구성한 D-LINK 시리즈 인터페이스입니다. 전방 카메라, 각 모드 별 유저 셋팅 모드를 기본적으로 지원합니다. 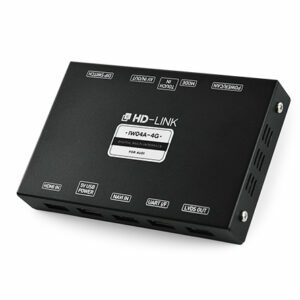 IW04A-D is D-LINK interface for AUDI only. 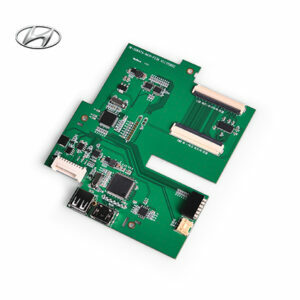 IW04A-D Interface Package 의 구성품입니다. D-LINK 와 함께 한방에 끝내는 AUDI 카 인포테인먼트! The ‘N-LINK2’ settop navigation is possible higi-definition output by digital signal. It has excellent interoperability with LINK interface serise. But, It is applied the Atlan3D map of Korea only. D-LINK는 기본적으로 주차 보조 시스템(Parking Assist System)을 지원합니다. 자체적으로 개발되어 순정보다 더 정확하고 더 뛰어난 성능을 자랑합니다^^ 가변 가이드 라인(PGS : Parking Guide System)은 깔끔하고 선명한 UI로 차량 내 인테리어를 해치지 않으며 300프레임으로 움직이기 때문에 아주 부드럽습니다. 또한 파크트로닉 센서(PDC : Parking Distance Control)는 여러개의 그래픽이 유기적으로 움직이며 주변 장애물의 위치를 정확하게 표시해줍니다. The D-LINK supports ‘Parking Assist System’ basically. It has accurate and high performance more than original system because we were directly development. The PGS (Parking Guide System) lines move very smoothly to 300 frame and have clear user interface. And, the PDC (Parking Distance Control) displays the location of surrounding obstacles correctly. 사람의 가시각을 벗어나는 위험요소는 전방에도 항상 존재하기 때문에, 요즘에는 후방 카메라 뿐만 아니라 전방 카메라의 중요성도 많이 부각되고 있습니다. D-LINK는 시중에 판매되는 다양한 전방 카메라나 차량의 360도를 보여주는 옴니뷰(어라운드 뷰) 카메라와 연동하여 ‘P’ or ‘R’ 모드에서 ‘D’모드로 기어 변경 시 차량의 순정모니터에서 자동으로 전방 카메라의 영상을 출력합니다. 전환된 화면은 일정 시간 후 다시 순정으로 자동 복귀됩니다. 또한, 전환된 전방 화면의 유지시간은 셋팅 화면에서 사용자가 임의로 조정이 가능하며, 기어 변경 없이 순정버튼을 이용하여 수시로 전방 카메라 영상을 확인할 수 있습니다. 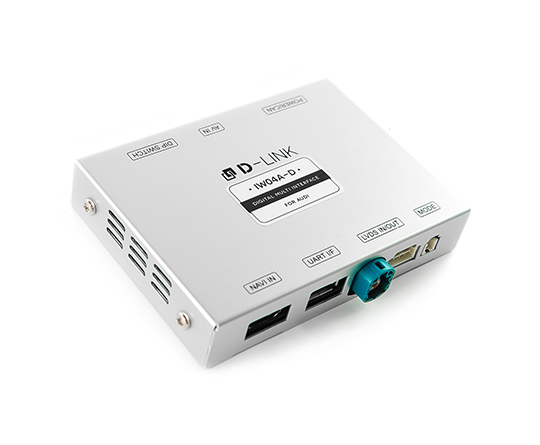 The D-LINK connect with front-view camera and images of camera are output to original monitor autometically when you change the gear to ‘D’from ‘P’or‘R’ mode. And then, the screen return to original images after a certain time automatically. Also, the user can set retention time of front-view images on setting mode. And, user can check the front-view images always by original button without changing gear. 사용자 편의와 용도에 따라 간편하게 조작이 가능한 Setting Mode를 지원합니다. 네비게이션, 전ㆍ후방카메라 등 모든 화면의 크기와 위치, 밝기, 색감 등을 조절 가능하고, 기능의 On/Off 설정과 사용자 information까지 빠짐없이 구성되어 있습니다. 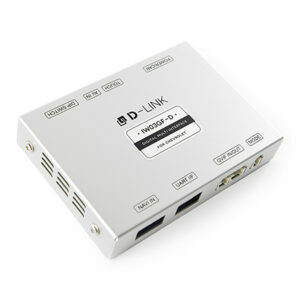 The D-LINK supports user setting mode that can easily operation. It can be control the size, position, brightness, saturation and etc of the HDMI mode, navigation, front&rear camera and etc. 각 모드 진입 및 전환은 순정 버튼을 사용합니다.